What are the key ideas of geometry that you want your students to work through during the school year? Depending on the grade level, the key ideas that I would want my students to know would vary. I am currently working with 1st graders for my field experience, so I will focus on this level. 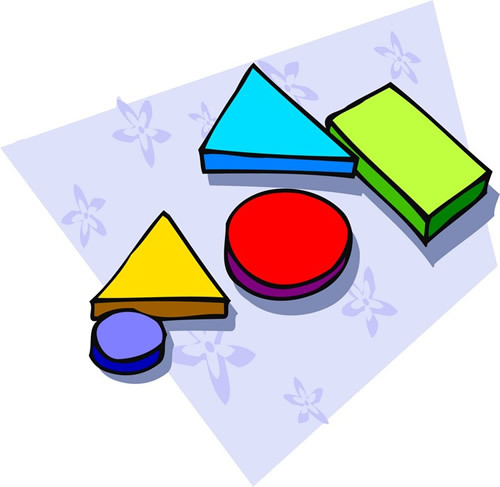 I would first want my students to be able to distinguish between different shapes and their attributes to know the shapes. I would want my students to work through constructing shapes. I would lastly want my students to work through recognizing similar shapes. How would you structure this lesson for students in an elementary classroom? When teaching this type of lesson in the classroom, I would first start by getting students thinking about triangles. I would teach students that a triangle is a three-sided figure that is closed. I would remind students that triangles can come in several shapes and sizes and can have different lengths in sides. I would do just as the video said and have students look around the room to find triangles. I would then have students practice making triangles with the geoboard as I call out different types of triangles. Do you think this activity would be appropriate for second grade and under? What parts did you have issues with? Did you need to revisit some vocabulary words to remind yourself of their meanings? If so, which ones? I did not have any issues with the geoboard paper. However, I could not figure out why I couldn’t make an equilateral triangle until finishing the PowerPoint. Vocabulary was still fresh in my brain. How was your vocabulary remembering? In terms of my own personal rating, I would say that van Hiele would say I was at the deduction level. With this being said, I am able to classify shapes regarding theirs sides and attributes. It is easy for me to prove why a shape is a shape by explanation. I would say that van Hiele’s levels would change when considering 2D or 3D shapes. This is because the dimensions will bring forth a different perspective. However, I think that I would remain on the same level personally. This would fluctuate from child to child within the classroom. Posted on March 8, 2015 March 8, 2015 by moore4her	Bookmark the permalink. For this lesson I think that it could be used for grades under 2nd, but only 1st. I do not think that Kindergarteners would get the full understanding, but I think that you would be able to simplify and adjust the lesson to make it appropriate for the grades. I feel that each grade needs to work on a foundation or level of geometry. For me I remembered all of the vocabulary words for this module. I think that is because I have a lot of experience with math and have been doing it for a very long time. My concentration is in mathematics, so I have been continuing and growing in math in a variety of ways. Overall, I think this module was a great way to see how we should create lessons in math and to show the levels at which are students are at. I think that with every topic in math there are levels that the students are at.